This PDF 1.7 document has been generated by Microsoft® Word 2016, and has been sent on pdf-archive.com on 21/11/2017 at 23:22, from IP address 79.78.x.x. The current document download page has been viewed 317 times. File size: 1.2 MB (3 pages). 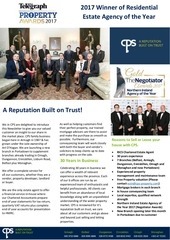 A Reputation Built on Trust! with progress on the sale. design and outstanding turnkey finish. Estate Agency of the Year. Young Agent of the Year Award. on potential buyers and investors. property developer, landlord or buyer. up to date with progress on the sale. This file has been shared by a user of PDF Archive. Document ID: 00699823.